Just Add Love is an overtly feminine and effortlessly beautiful collection inspired by the universe theme of love. 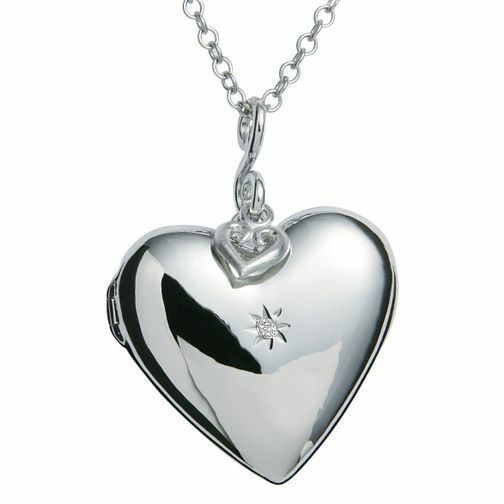 Crafted from 925 sterling silver, this Starry Heart locket measures 35mm x 28mm and is adorned with a shimmering real one point diamond in the centre detail. Included with our 75cm belcher chain featuring a T bar clasp.